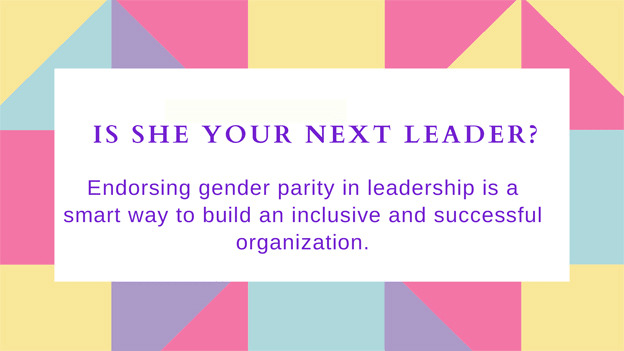 Article: Infographic: Is she your next leader? EY’s report, “Is SHE your next leader?” explores the current trends in the representation of women in leadership position across organizations. Here are the key findings from the report. Although women around the world are closing the gap in areas such as health and education, Research by World Economic Forum reveals that a notable inequality persists in the proportion of women in a leadership role. India was ranked 108 in the index out of 144 countries (ranked at 139 in economic participation and opportunities for women). The current representation of women in leadership reveals the disconnect between organizations’ current strategies and women’s inclusion at the workplace. In light of this backdrop, EY’s report titled, “Is SHE your next leader?” explores how bringing diverse perspectives and innovation to the table while enhancing an organization’s profitability at the same time makes the business case for increased women representation in leadership.